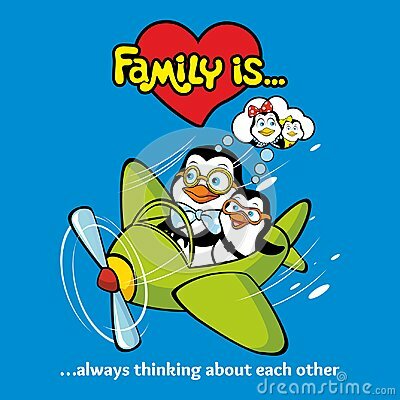 Family of penguins united with one heart and friendship. Love Themed. Postcard Design Love. Warm Hug Cute Cartoon Penguins. Vector illustration. Colony, flock - Emperor Penguins in Antarctica. Penguins stand in the snow on a sunny day. Young man watching .Overall plan. A set of realistic imperial penguins in different poses. Adult birds and chicks. Family of penguins decorates the Christmas tree for Christmas. Illustration in flat style.